Click picture to start shopping like the rock stars! Unfortunately, talent is no longer enough to make a name for yourself in the music industry. As competitive reality shows like “American Idol” and “The Voice” have stressed, you have to look the part, with your talents supporting you. Allstar Music Empire is an authorized retailer for Affliction Clothing! How could we not carry a clothing line who fully embodies the rock star life and persona into every shirt or pair of jeans they produce. Like Affliction says, “Live fast and be willing to endure the pain and suffering as you push the limits of what’s possible.” Are you ready? Set your inner artist free as you put the finishing touches on your music training and prepare to take the stage with our collection of Affliction Clothing!Come visit All-Star Music Empire today to find the perfect performance ensemble or outfit for any and all occasions! 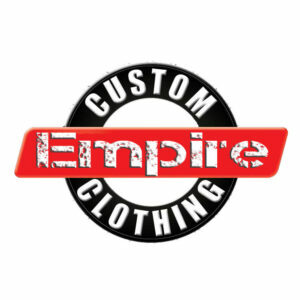 In addition to the Affliction Clothing line, we’re psyched to introduce Empire Clothing offering all aspiring rock stars and artists with the perfect styles to express their inner passion for music. We’ve got exclusive designs by Stephen Thompson from King Game Design artists for our assortment of shirts, hats, belts, and accessories! We are also carrying King Game Design’s clothing line. Come visit Allstar Music Empire today to find the perfect performance ensemble or outfit for any and all occasions!